Located in northwest England on the Irish Sea coast, Crosby is a town in Merseyside’s borough of Sefton. With a population of over 50,000, it’s a desirable place to live and there’s a thriving property market in the area. At My Home Move Conveyancing we’ve been developing our knowledge of this local market since 2001, allowing us to bring our clients in Crosby an outstanding specialist conveyancing service. If you’re looking to buy or sell property in Crosby, you must instruct property lawyers to carry out the legal work on your behalf. 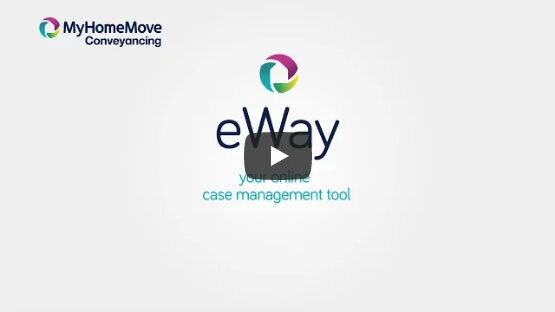 As your Crosby conveyancers, My Home Move Conveyancing can bring you our award winning customer service, innovative use of technology and a market-leading attitude to how we go about our business. Our conveyancing service comes without any hidden extra costs, meaning you’ll know exactly how much you’re going to pay from the outset. What’s more, if you don’t end up completing your move, you won’t have to pay us anything. Each of our clients is assigned a dedicated conveyancer, who’ll look after you from start to finish, providing you with a consistent point of contact and regular updates on your case. At My Home Move Conveyancing we’re proud to have supplied our conveyancing services in Crosby to customers across the local area, including spots close to the town centre’s train station, and in neighbourhoods such as Blundellsands and Brighton le Sands. The average house price in Sefton is £153,064, while the overall average sale price in Crosby over the past 12 months was significantly higher than this at £209,297. Most sales involved semi-detached properties, which went for £211,579, while terraces sold for £166,730 and flats for £134,439. Crosby is a town with Viking roots, known as Krossabyr in times gone by. The town saw a great deal of growth in the middle of the 19th century when the Liverpool, Crosby and Southport Railway opened. The modern town is a desirable suburb of Liverpool to live in, with a lovely setting on the northwest coast of England, and home to the ‘Another Place’ art installation. If you want to get into Liverpool, there are trains that take just 20 minutes to reach Liverpool Central from Blundellsands and Crosby station. The town’s connected to the national motorway by the M57 and M58, which both pass quite close to Crosby. When you want to go on holiday, Liverpool John Lennon Airport is around 20 miles away a journey that takes just over half an hour by car. There are plenty of schools in the local area for families with children to choose between, including Great Crosby Catholic Primary, St. Mary’s Prep and Longmoor Community Primary for younger children. Secondary options include the Merchant Taylor’s schools for boys and girls, St. Mary’s College, and Chesterfield High School, while Liverpool’s selection of universities are just a short train journey away. All properties in Crosby will fall within one of the following council tax bands.